There is nothing as good as sitting down to a juicy, well seasoned, rack of ribs. Conversely, there are very few things that are as frustrating as sitting down to a plate of ribs only to find them dry and tough. In response to this, the 3-2-1 method was designed. 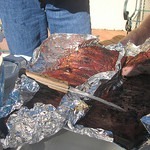 The goal of this method is to allow you to prepare smoked ribs that are so tender the meat just falls off of the bone. There is no extra effort required on your part when it comes to eating these delicious ribs. 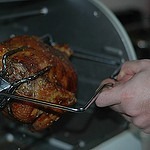 There are many good things about rotisserie cooking. 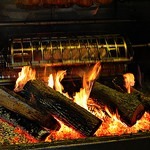 Meat cooked on a rotisserie can be juicier since they are slow roasted. There is one basic difference between grilling and rotisserie cooking that is important. While grilling is done over high heat, low heat is needed for the rotisserie. One of the most popular items at any deli counter is rotisserie chicken. There are many individuals who love the taste of rotisserie chicken, but they are afraid to try to prepare it on their own. They may think that the process is too complicated, and that it will require too much time. Something that these individuals may not realize is that if they enjoy eating rotisserie chicken that has set under a warming lamp all day, they will be blown away by the savory taste of a rotisserie chicken that they make for themselves at home. So let’s get down to it. The following are the steps needed to make a homemade rotisserie chicken.